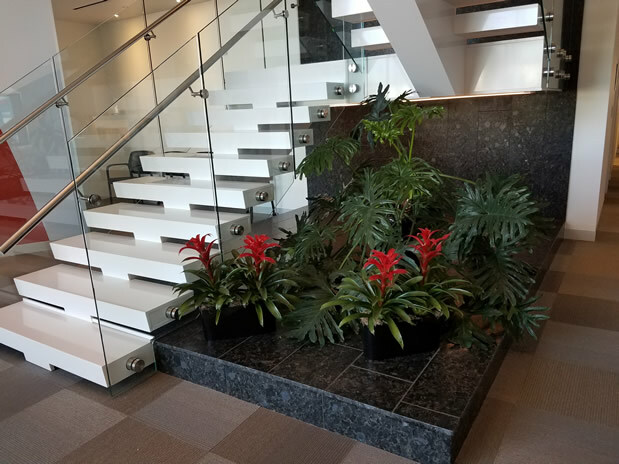 Beauty By The Yard provides Interior Plantscaping servcies designed to enhance your indoor environment. This makes them a perfect addition not to just your home, but to your workspace too! Take advantage of all of the healthy mental and physical benefits of bringing nature inside. Beauty By The Yard will customize a design using the best plants for your space and budget. We will install and set up a maintenance schedule to ensure the plants remain healthy and looking great. "A unique perspective on indoor and outdoor design - listening to my thoughts and making it all come together. An acute eye for detail with a wealth of knowledge on plant environments. Trustworthy, efficient, extremely neat. All you have to do is stand back and smile..."
Call (920) 475-5284 today to schedule your FREE Design Consultation!